Why do both Japan and Korea seem slightly xenophobic against overseas Japanese/Koreans, where as the Chinese seem to have an attitude of ‘welcome home my long lost cousin’? Because Japan and Korea have been “feudal” in the European-sense for the last 2,000 years. Both of them have bloodline-based aristocracies ruling their countries. The Emperor of Japan boasts an uninterrupted bloodline since 600 BC (Emperor Jimmu), and in Korea, most of their aristocratic families have 500+ years of history. Wherever you have this kind of bloodline-based aristocracy for thousands of years, you have this cultural notion of “the goodness of the purity of the blood”, and with it, a clear dividing line between “us” and “them” that expands beyond pure genetics and into the realm of culture and customs. Thus the slightly xenophobic attitude. This is no different from what exists in most of the Western culture today! A Pole can live in the Great Britain for three generations and still a Pole. Think about it. The Star War movies? Totally feudal with the “special power” passed down the bloodline; Harry Potter? Inherited “special power”; Lord of the Rings? Only Sons of Kings need apply. This is a reflection of the past 1,000+ years of the aristocratic feudal society. The cultural echo chamber. And all these stories are basically the same: “I’m the pre-destined hero by blood, and some bad guy is out to get me for no reason, just because.” People dig this. This is the way it’s supposed to be. The Chinese don’t really dig this. They simply don’t have the history of “pre-destined hero by blood” or “some bad dude is out to get me for no reason”. Because they have a completely different history. China hasn’t been “feudal” in the European sense for thousands of years. She officially got rid of her aristocracy during the Han dynasty in 200 BC, with the governing power transferred to scholarly commoners who rose through the ranks, starting from the Imperial examination. So the “Blue Blood” lost all attraction when they were forbidden to have power, and they were demonstratively more stupid than those Cabinet Ministers who came out of the Imperial Examination system. So the hot new scholars became the great “catch”, and those “Blue Blood” (who were only allowed to marry commoners by Ming Dynasty) became toxic assets in the marriage market. Whoever married them lost their potential future with real power. Secondly a lot of China’s own emperors rose from commoners, even the bottom of the society. Like the founder of the Han Dynasty in ~ 200 BC was this village scoundrel-turned local postal officer, and the founder of the Ming dynasty around 1,400 AD was a little orphaned beggar turned monk turned bandit. Even he himself didn’t know who his parents were. If those dudes were into “blue blood”, they wouldn’t be the emperors. They would have no legitimacy to be there! So the Chinese aren’t into this “bloodline” thingy, at all. In fact, they are a bit militantly against this “blue blood” concept. Thirdly, China is not an island or a narrow peninsula. It sits on the biggest continent, and it got into contact with a lot of other people, other tribes, other races. That’s just a geographical certainty. Northern Wei Dynasty in ~ 400 AD was founded by Turkic people (Xianbei), Tang Dynasty in ~ 800 AD was founded by a Han/Turkic hybrid, Yuan dynasty in ~ 1300 AD was founded by Mongols, and the last dynasty, the Qing Dynasty in ~ 1600 AD, was founded by Manchus. With this kind of history, being xenophobic and going all-superior is kinda impossibly silly, don’t you think? When it’s like half of their own emperors were foreign- or hybrid-origin? So what really happened was that everybody hybridized with each other like rabbits, and “now we are all one family”! That does the trick! 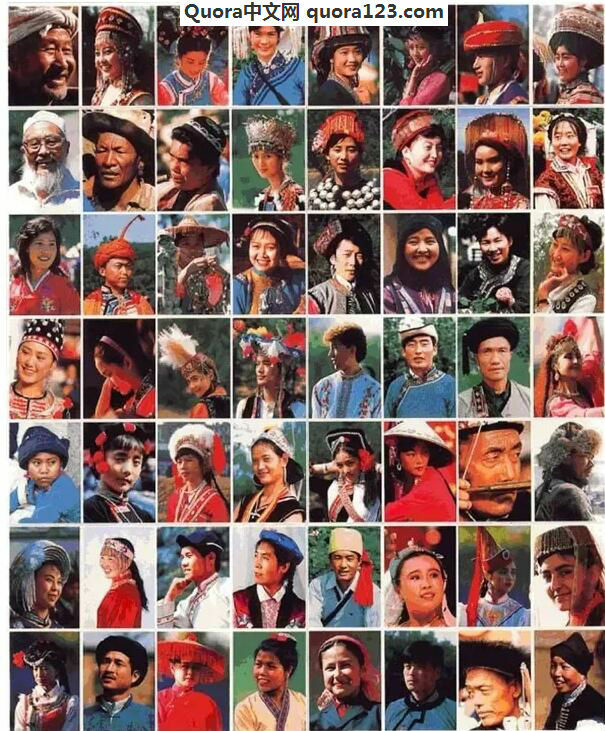 Now there are officially 56 ethnicities in China, and the vast majority of them all look the same! The difference in clothing style lasted longer than the difference in biological appearance. Who’d have thought! So the “China-ness” is not defined by race or ethnicity. It simply can’t be when practically everybody is a hybrid. The enduring thingy is the Culture, ditto “civilization state”. China as a “Civilization-State”: A Historical and Comparative Interpretation In fact, many Chinese tend to believe that hybridization makes better babies, so a touch of “foreignness” can be sort of exciting. Go figure! I can only speak for Japanese because I was born and raised in Japan. Reason one: many overseas Japanese are Okinawans who are culturally more close to Chinese. And yes, overseas okinawans are welcomed in Okinawa. Reason two: most Japanese intermarry local people where they live unlike the Chinese. For instance, the vast majority of the 3rd or 4th generation Japanese in Peru or Brazil look mestizo and speak only Spanish or Portuguese. You are considered Chinese by Chinese folks if your dad is of Chinese origin. Overseas Chinese men prefer to marry Chinese or women of East Asian background, so their kids will look oriental. Reason three: when Japanese move to another country and naturalize, they are seriously committed to their new country, not Japan. It means Japanese don’t easily give up their Japanese passports for convenience unlike the Chinese people. These are the reasons Japanese citizens in Japan see overseas Japanese differently. By the way, I am ethinically Okinawan and my family chose to live in Japan after WWII. I am often reminded by my family and relatives how important it is to fit in and how great Japanese culture is. They didn’t even pass on their native tongue.